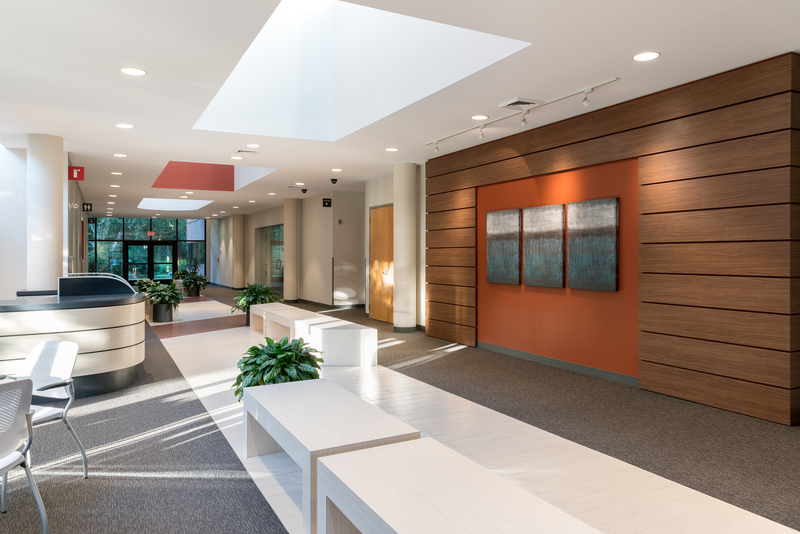 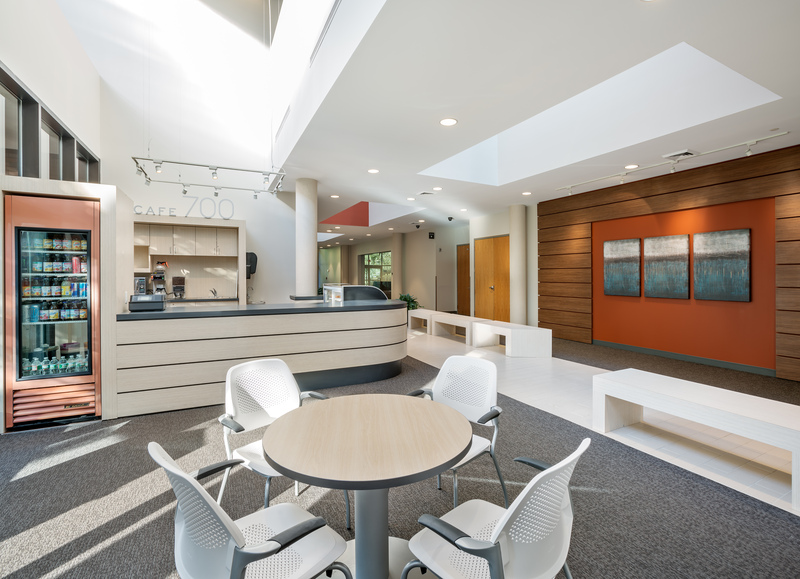 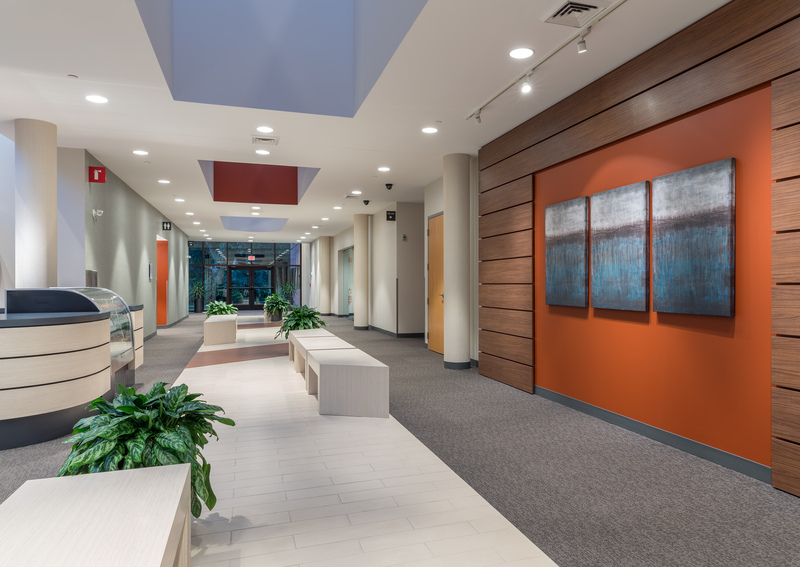 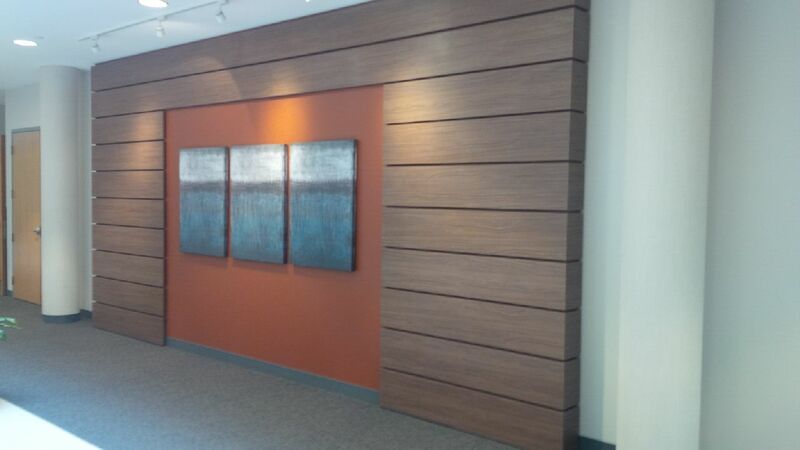 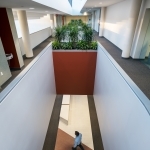 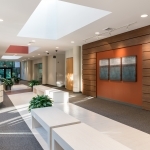 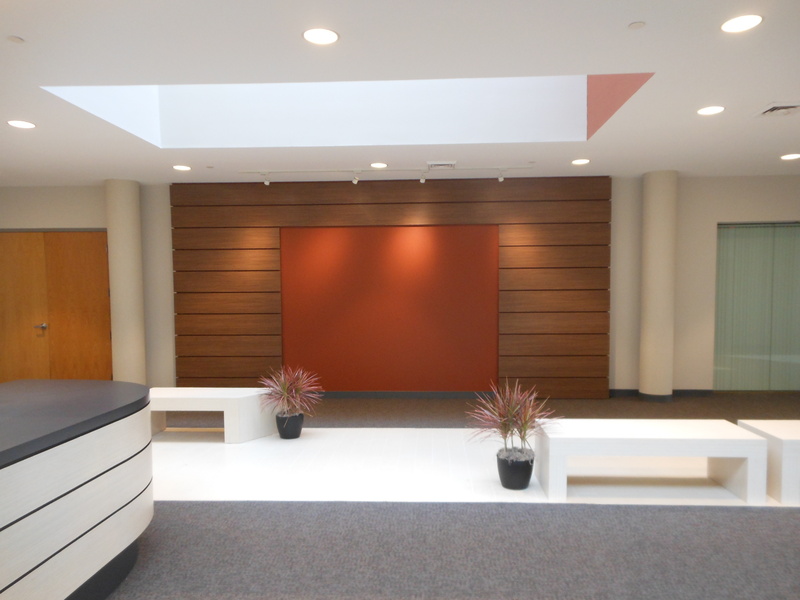 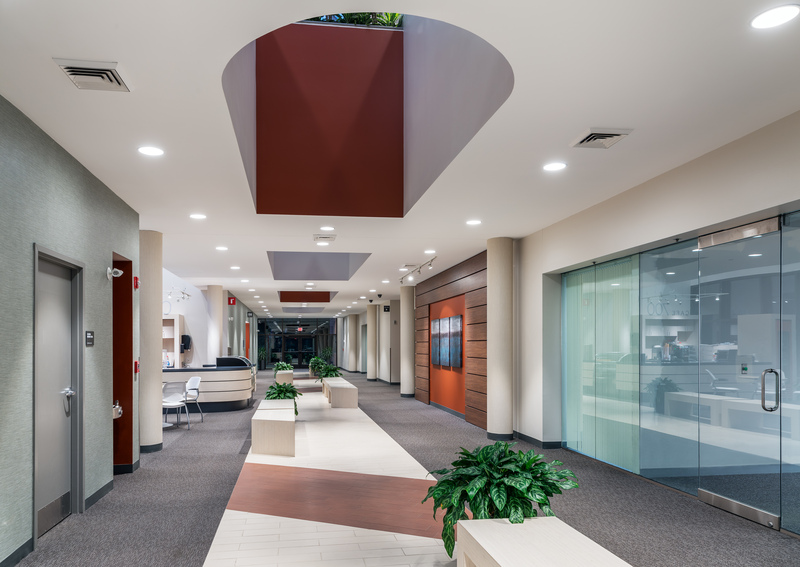 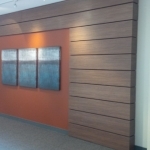 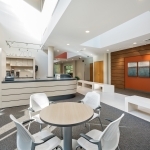 700 Longwater Drive (700 LW) | Barletta Associates, Inc.
BAI performed a complete gut of a portion of a building, totaling 9,000 SF of existing common areas. 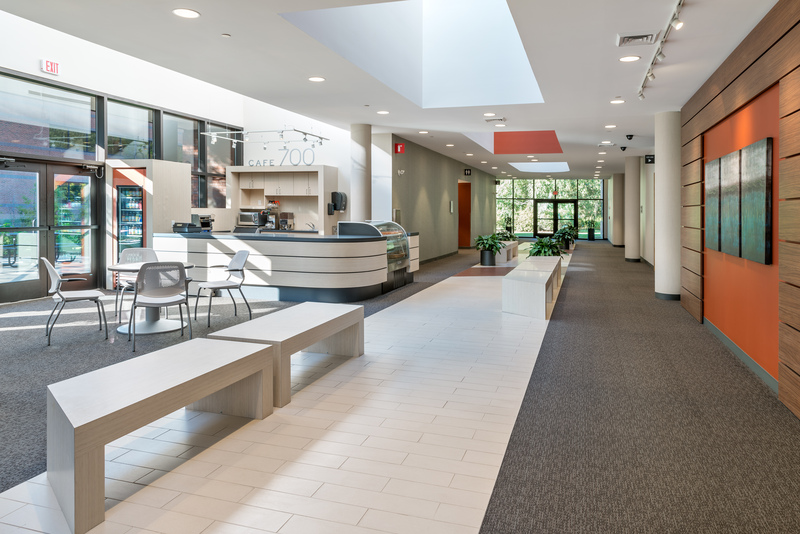 BAI removed a large area of landscaped planters & installed a new concrete slab where custom built benches have been mounted and finshed with a ceramic tile flooring. 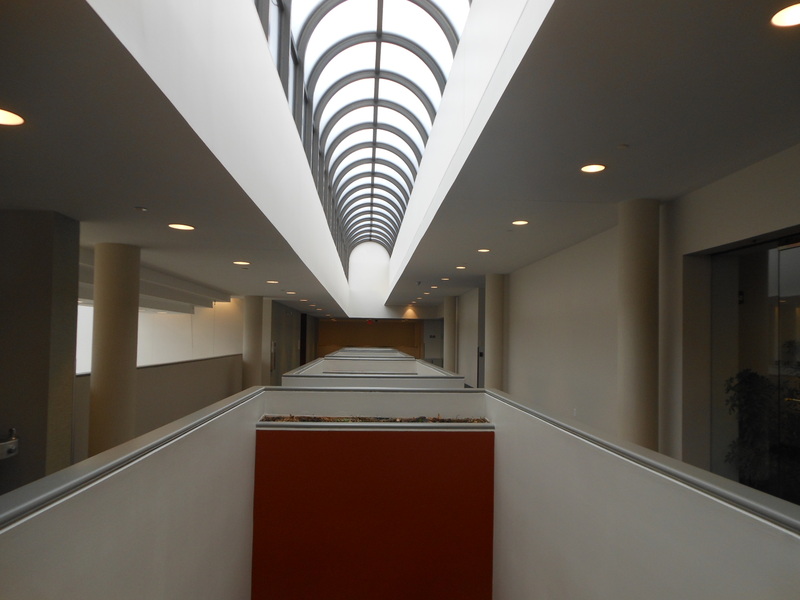 New roof skylights have been installed to now transform the former space into a new bright “Open Atrium” and seating area for building Tenants. 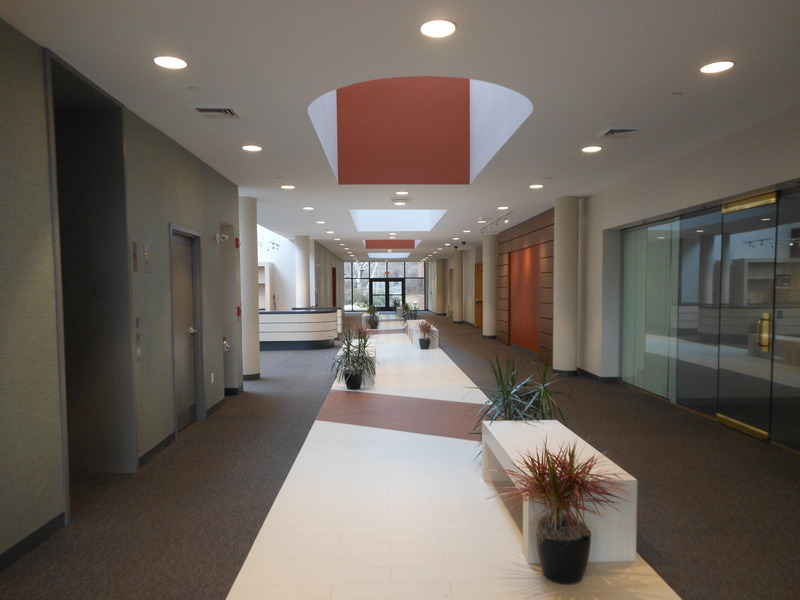 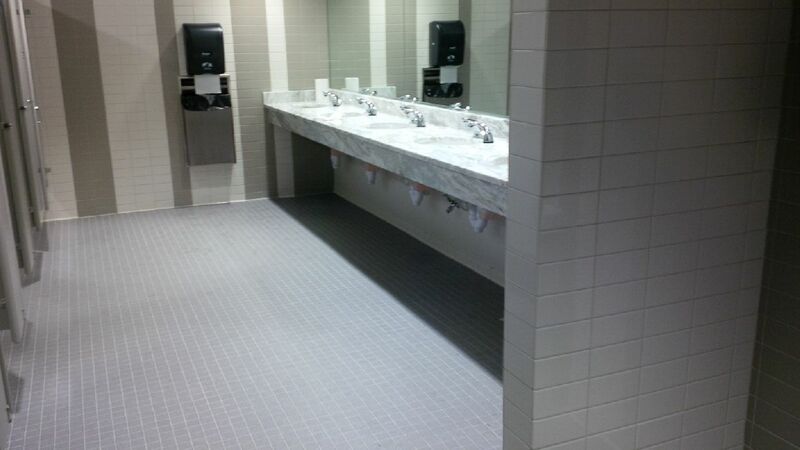 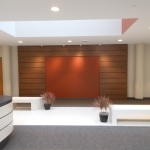 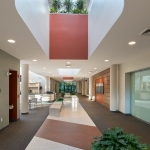 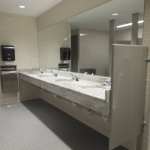 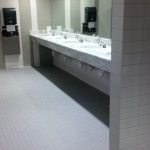 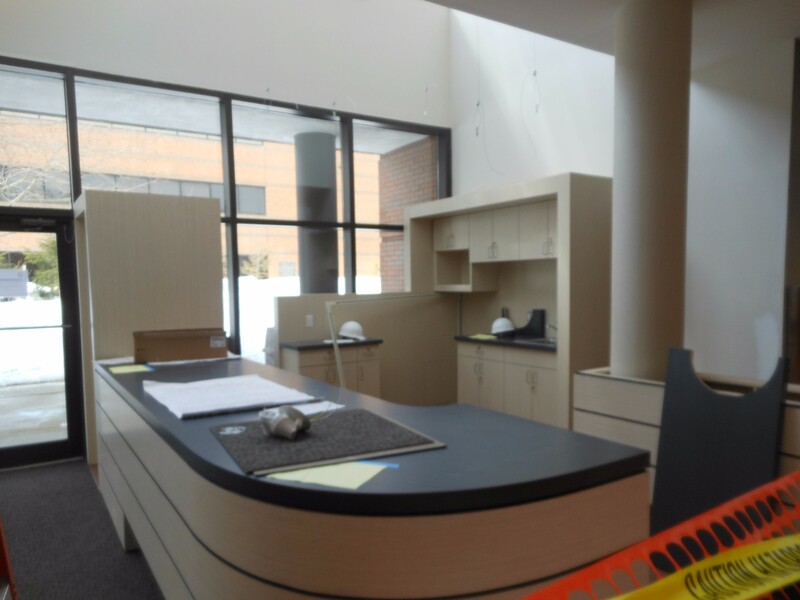 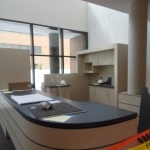 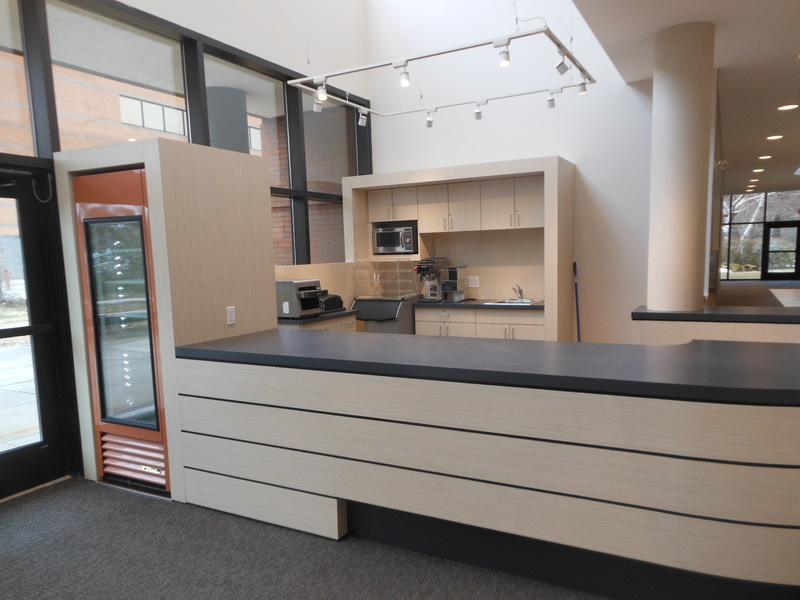 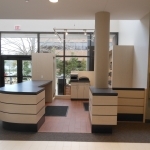 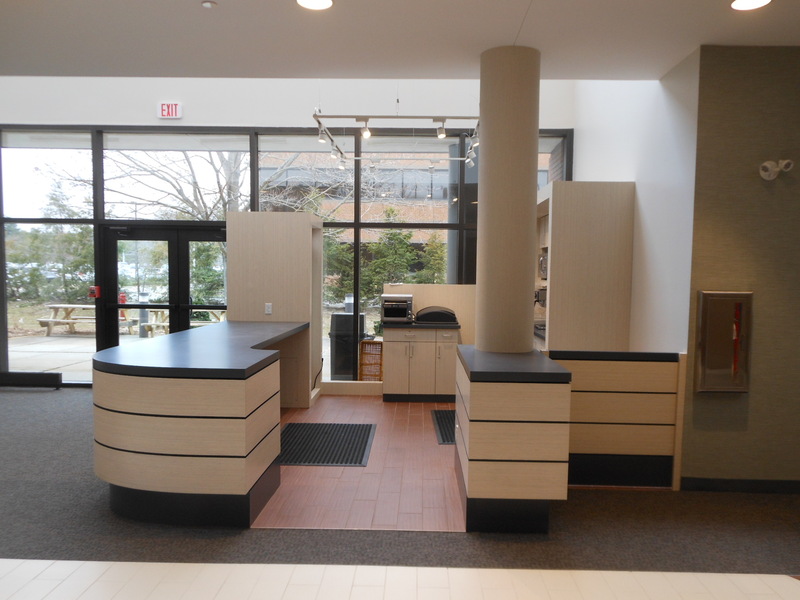 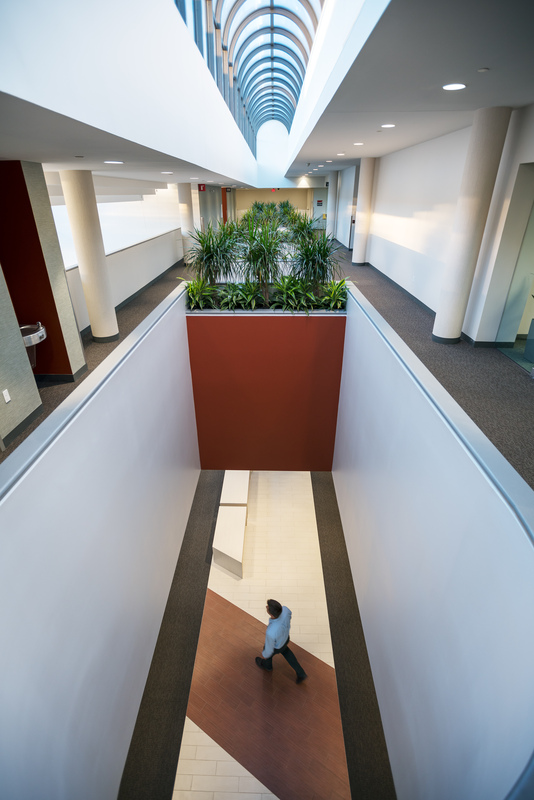 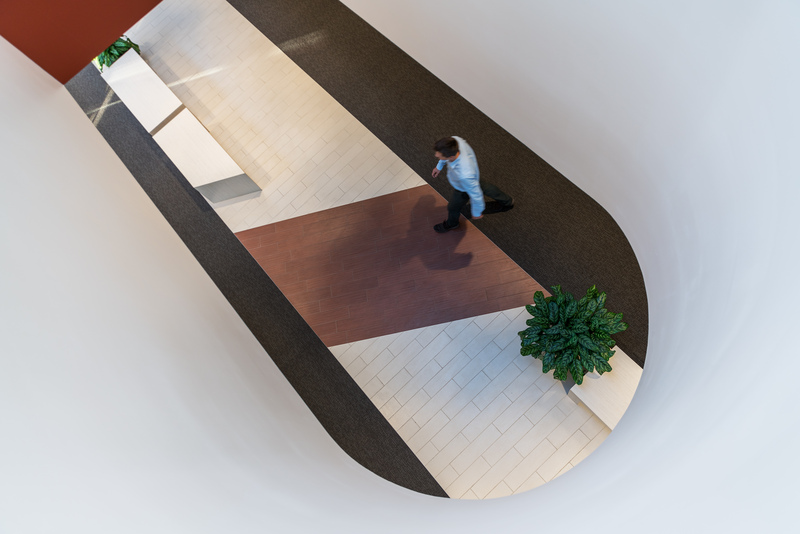 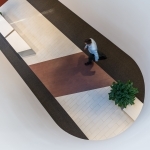 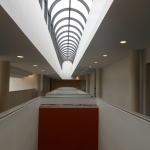 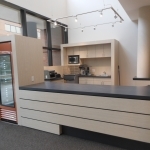 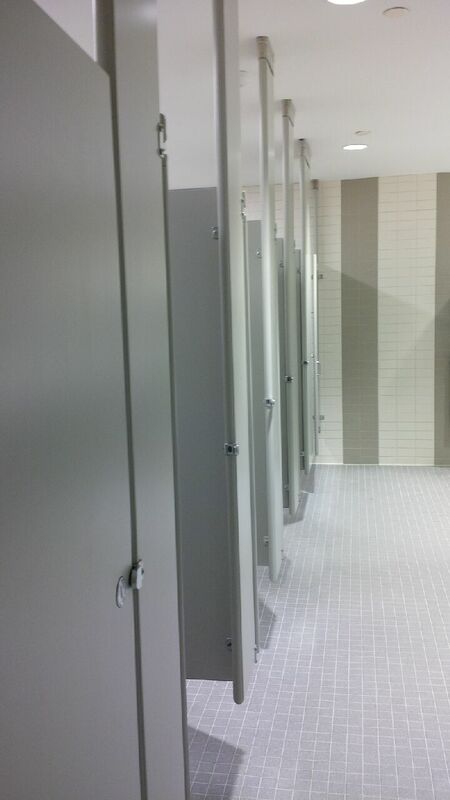 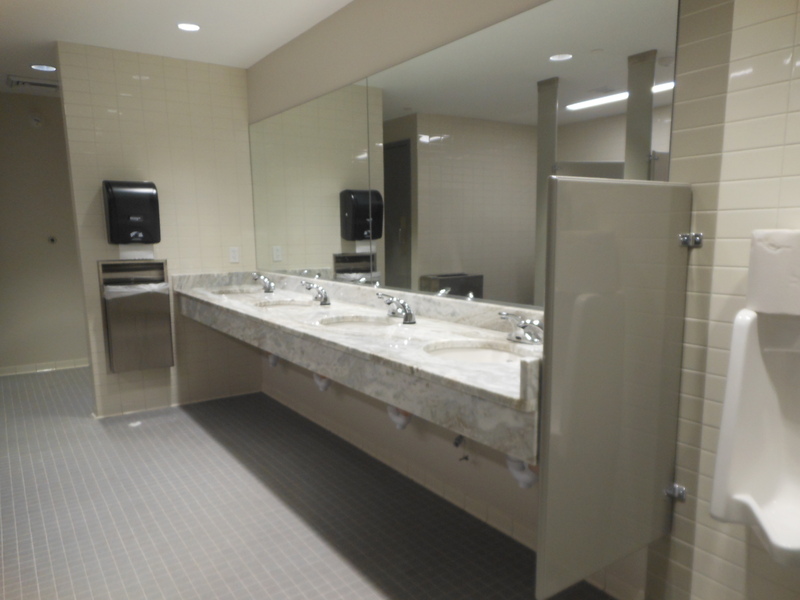 New work also included new common area bathrooms, multiple tenant entries, acoustical ceilings, wall finishes, flooring, a “food court” area and required MEP’s re-work. 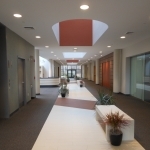 This Project posed a great challenge with a phasing schedule being adhered to, based upon the greater than normal employee count of the existing tenants. 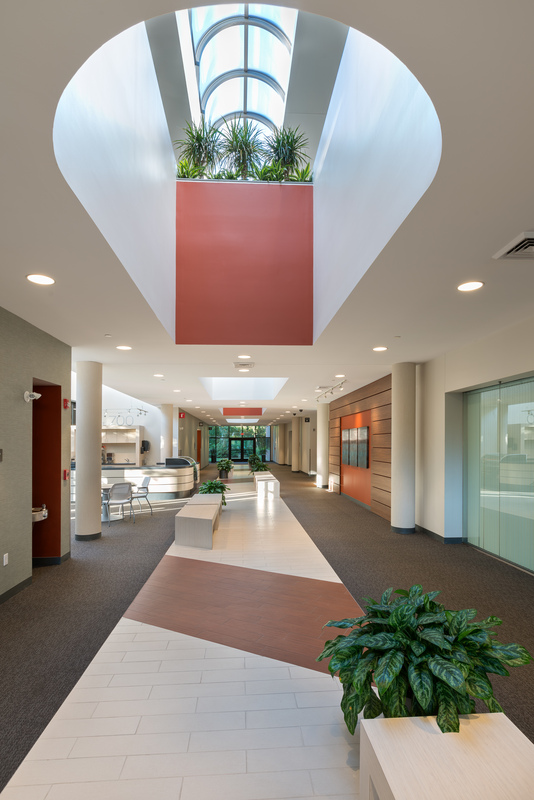 2019 © Barletta Associates, Inc.